Personal Protective Equipment, PPE, is the front line of protection for healthcare workers who need protection from blood and blood borne pathogens. Healthcare Workers and Organizations need to make sure that the PPE they are utilizing meet the highest standards for protection. Seam construction of the protective garment is a key component to providing the proper level of protection. Protective garments need seams that are sealed for prevention of liquid penetration. Lakeland's ChemMax1 with sealed seams is well suited for protection in situations where exposure may occur. 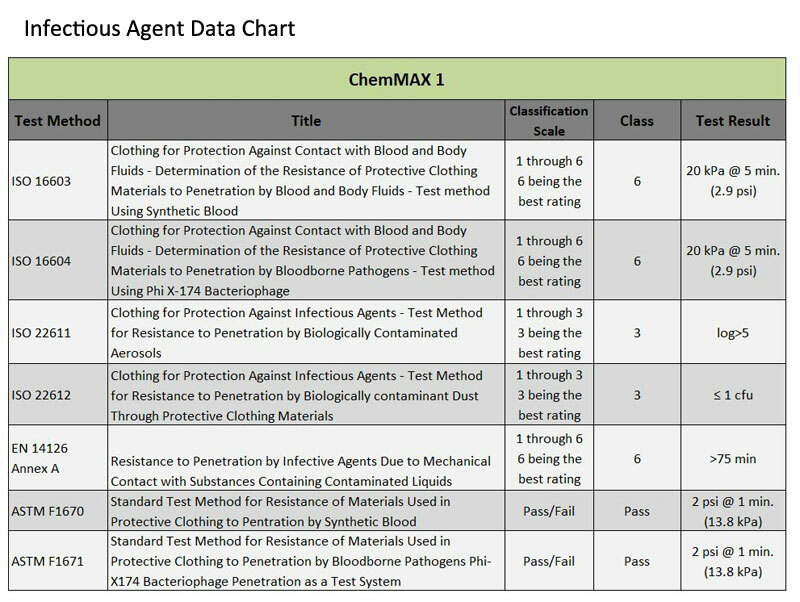 Lakeland’s ChemMax1 fabric passes both ASTM F16701 and ASTM F16712 test methods for protection from blood penetration and bloodborne pathogens. ChemMax1 also goes above and beyond the ASTM tests by performing at the highest possible levels in the more comprehensive European Norms (EN) and ISO testing standards related to infectious agents. The performance of ChemMax1 in testing protocols from around the world, combined with sealed seams for increased protection against fluid penetration; makes it easy to see why many humanitarian groups are trusting Lakeland’s ChemMax1 for protection. 1ASTM F1670 - 08 Standard Test Method for Resistance of Materials Used in Protective Clothing to Penetration by Synthetic Blood: This test determines the ability of a material to resist the penetration of synthetic blood under constant contact. The test sample is mounted on a cell separating the synthetic blood challenge liquid and a viewing port. The time and pressure protocol specifies atmospheric pressure for 5 minutes, 2.0 psi for 1 minute and atmospheric pressure fo 54 minutes. 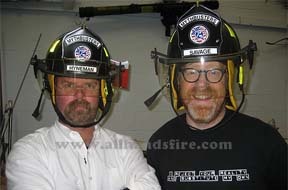 The test is terminated if visible liquid penetration occurs before or at 60 minutes. 2ASTM F 1671 - 13 Standard Test Method for Resistance of Materials Used in Protective Clothing to Penetration by Blood-Borne Pathogens Using Phi- X174 Bacteriophage Penetration as a Test System: This test determines the ability of a material to resist the penetration of a microorganism under constant contact using a method which has been specifically designed for modeling penetration of HBV, HCV, and HIV. Because these organisms are difficult to use, the test uses a bacteriophage, Phi-X174, one of the smallest known viruses, at 0.027 microns (μ) in diameter, similar in size and shape to Hepatitis C Virus (HCV), the smallest known bloodborne viral pathogen. A bacteriophage is a virus that attacks bacteria.